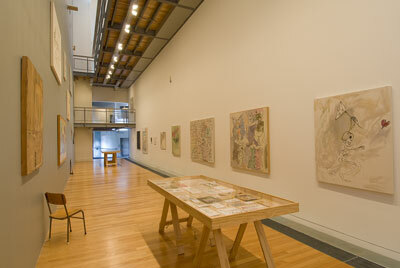 The Adam Art Gallery presented three interrelated projects for the 2008 New Zealand International Arts Festival. 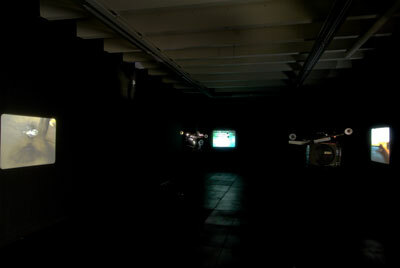 Opposites Attract showcased a major retrospective of Argentinean-born, Taranaki-based artist Tom Kreisler (1938-2002) alongside newly commissioned work by emerging New Zealand artist Sam Morrison, and a series of 16mm films by Portuguese artists João Maria Gusmão and Pedro Paiva. 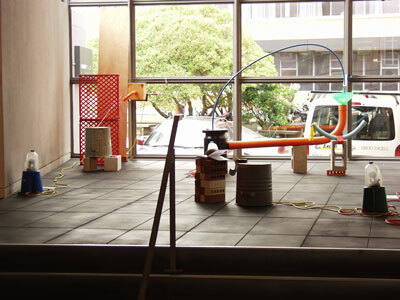 The exhibition title posited an absurdist logic which is the linking theme that connects these projects. All shared a certain playfulness; a predilection for simple, inventive production methods, and a disconcerting desire to treat the mundane as a medium of experimental possibility that throws accepted meanings and normal purposes into disarray, leaving the viewer poised between laughter and something altogether more serious. The gallery was delighted to be able to host the critically acclaimed and highly popular retrospective of Tom Kreisler on its second staging in a nationwide tour. 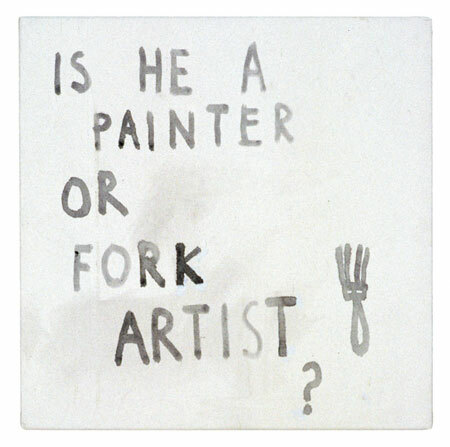 Initiated by the Govett-Brewster Art Gallery and redesigned for the Adam Art Gallery by curator Aaron Kreisler, this was a major survey of this under-recognised but important artist that revealed the scope and depth of Kreisler’s vision, and the impact that his work has had on fellow artists, writers and critical thinkers across New Zealand’s cultural communities. Tom Kreisler’s witty yet poignant paintings and drawings complemented an inventive mix of sound-generating assemblages by Auckland-based artist Sam Morrison. 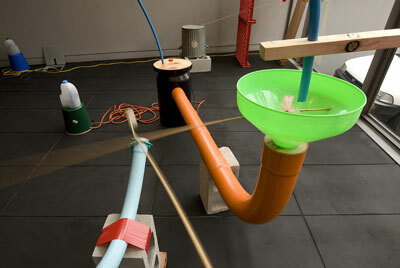 Audiences were invited to activate Morrison’s unique musical mechanisms, made from an eclectic range of gathered materials, such as rubbish bins, sticks and tubing, to articulate and explore the gallery’s acoustic properties. 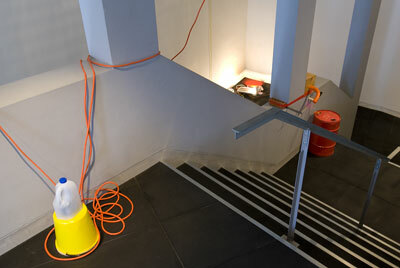 Morrison’s engaging installations have been included in Break: Construct at the Govett-Brewster Art Gallery, 2006 and 54321 Artists Projects at the Auckland Art Gallery, 2006. He has also performed live in events such as S3D (Ear and Eye) at the Auckland Festival. Morrison’s audible sculptures played off a series of silent 16mm films by Lisbon-based artists João Maria Gusmão and Pedro Paiva which playfully posed visual and physical conundra that test definitions and stretched the imagination. 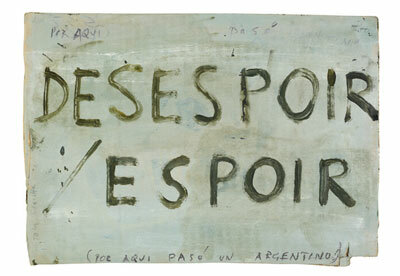 This was the first time their work has been shown in Australasia and was an exciting opportunity to see new work by two emerging artists who were making a name for themselves in Europe and North and South America. 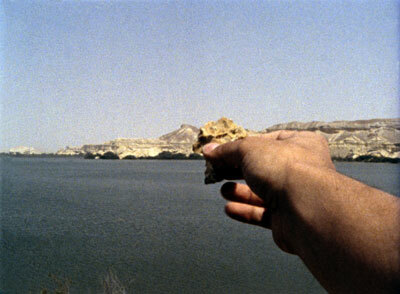 Gusmão and Paiva’s films have been exhibited in major international exhibitions including the 2006 São Paolo Biennale and at CCA Wattis Institute for Contemporary Art in San Francisco in 2007. Here are the public programme events associated with this exhibition. In conjunction with Opposites Attract, the Adam Art Gallery produced two publications, both designed by Experimenta. Hydraulics of Solids: João Maria Gusmão + Pedro Paiva includes essays by Christina Barton, and is available for purchase here. 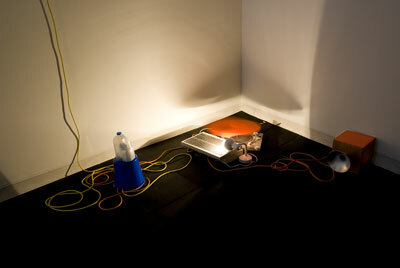 Whiff Whaff: Sam Morrison includes an essay by exhibition curator, Frances Loeffler, and can be purchased here.